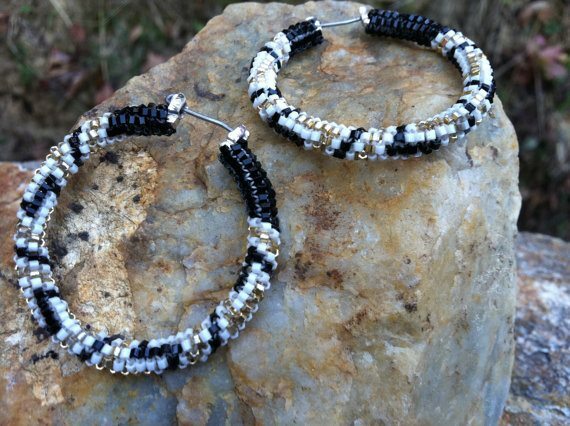 How about this cool idea - buy gifts for friends or family (or for yourself) all while supporting an awesome cause?! Yes! 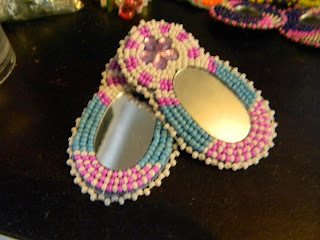 Check it: The Art Knows No Boundries Online Auction for Attawapiskat is a group started on Facebook to help raise money for the families of Attawapiskat First Nation in Canada (click here for more info). The auction ends Friday, Dec 16th at 12 noon Eastern Standard Time (more details are available on the Facebook group page). Beaded Earrings by Jenn Wilson, starting bid at $25. 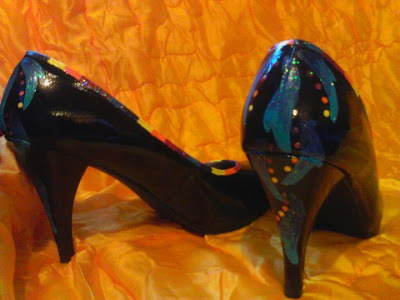 Hand painted 'heels' done up in blues and fire colors by Pauline Smith. Size 9 with a 4 inch heel, bids start at $60. 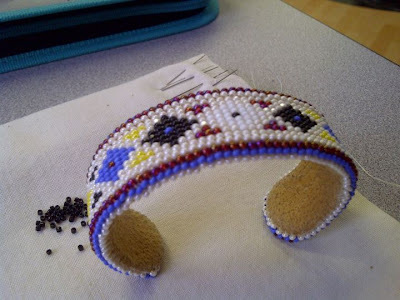 Bracelet by Deborah Cardinal, starts at $65. 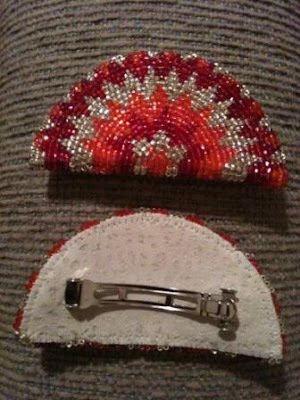 Barrettes by Flora Day Rider, starting bid $35. 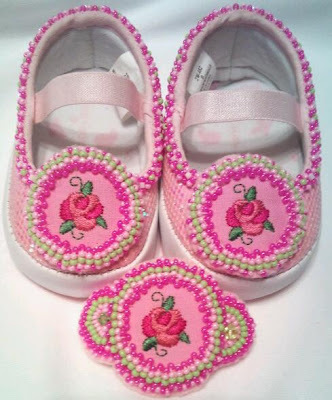 Baby Shoes with Braclet by Tena Keeton, starts at $45. 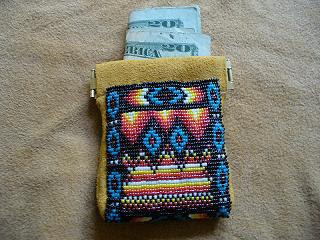 Coin purse (Money not included) by Debbie Lazaris, starts at $80. Mens wool jacket by Mallory Knox, bidding starts at $60. This is a group for all artists and all individuals regardless of race, age, class, sexuality or gender - only serious bids are accepted - this is for a good cause so keep it positive. 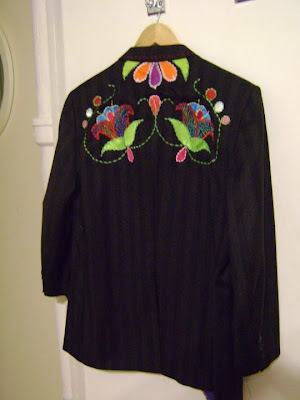 I've already started bidding! So click here to view more, join the group, and bid on your favorite items.